Merpugs - they exist! What? 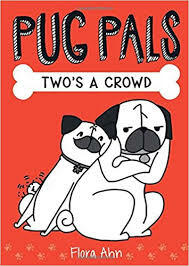 You've never heard of merpugs? Hmm, well it might be because they stay close to the ocean floor. Their weight naturally keeps them down and so they only move around if they exert effort, and that isn't often. 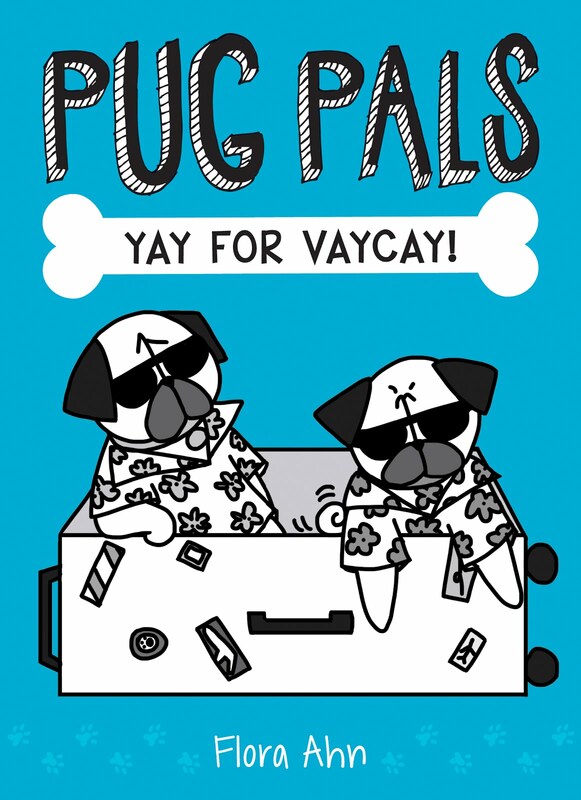 And they tend to spend most of their time eating and sleeping soooo... Hmm, no wonder merpugs are such rare sightings! Quick! Someone alert James Cameron! Maybe he can dive down there and do a documentary. HAHAHAHAHA! If he does, I am so going with him on that dive and if he makes a 3-hour movie about it I better be a consultant on that set! 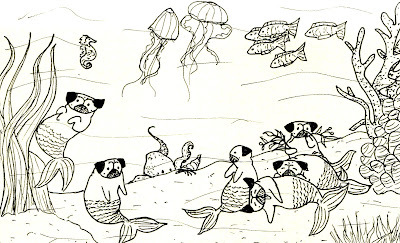 Even Jacques Cousteau didn't discover these wonderful merpugs. He would have been fascinated by these lovely creatures. Hehe Suki - agreed! 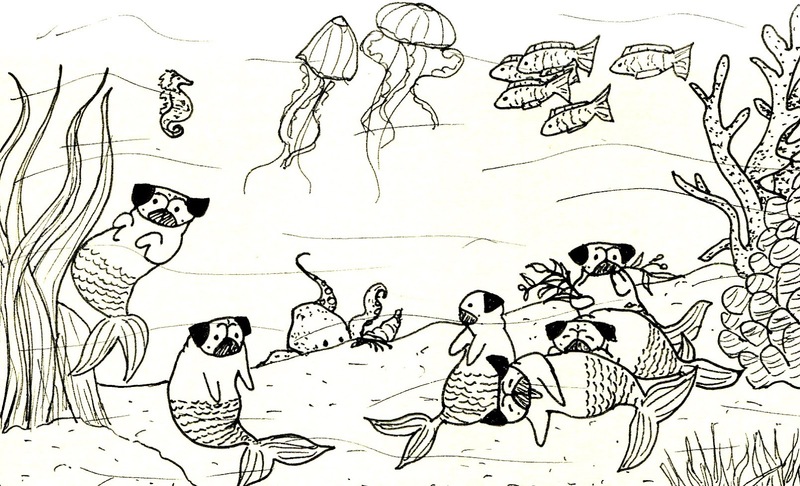 How could anyone not be fascinated by merpugs? !